RG 1 Office of the Governor, SG 19 Governor Sam Goddard. History and Archives Division (State Archives), Arizona State Library, Archives and Public Records. This web site offers students and scholars an opportunity to learn about Sam Goddard and Arizona politics through the Samuel P. Goddard Papers (MSS-163) at the Arizona Collection at Arizona State University Libraries and the Arizona State Archives (RG 1, SG 19). This site presents excerpts from the complete Goddard archival collections and other sources. 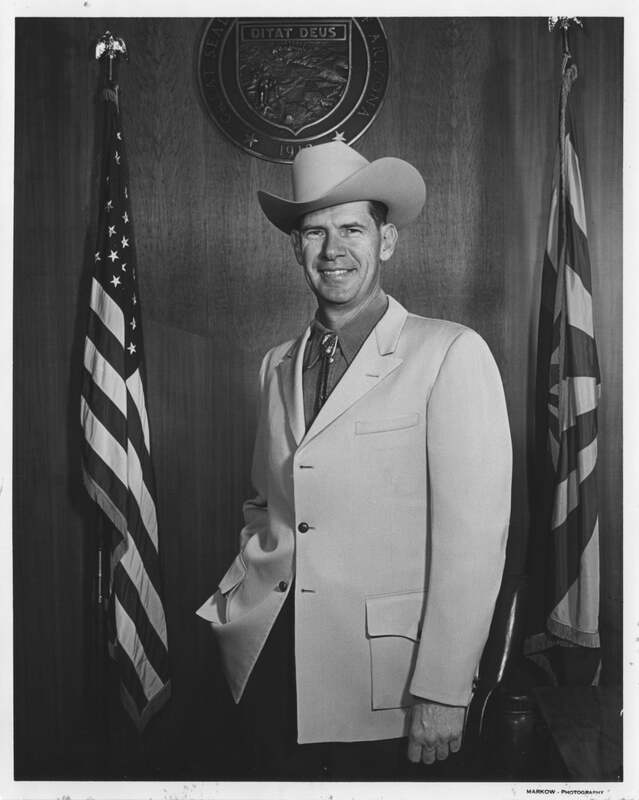 Samuel Pearson Goddard, Jr. served as the 12th governor of the state of Arizona from 1965 to 1967. While his tenure as governor was brief, Goddard has continued to play an important role in Arizona politics as the chairman of the Arizona State Democratic Committee and as a member of the Central Arizona Water Conservation District Board of Directors. For more than fifty years, he cultivated deep roots in Arizona as a politician, local businessman, lawyer, philanthropist, and colonel in the Army Air Force Reserves. Goddard participated in state politics during an important time of social, industrial, and environmental change in Arizona.